Now the Government Officials can Indulge in Corruption with Impunity. If someone asks you, who are the blood sucking parasites that thrive on the poor people in the country, what would be your answer? Well, if you are well educated and has been closely observing the socio-economic and political affairs in the country, your answer could very well be – politicians, bureaucrats and big business tycoons. They are uncharged criminals, who are roaming freely leading luxurious lives and enjoying all the privileges at the expense of the ordinary people. Since the deadly trio have common interests and inextricably intertwined with each other, they always go hand in hand. It is their constant and continuous endeavor to ceaselessly strengthen their position and power to safeguard their illegitimate interests. One of the classic examples of this behavior is the recent Rajasthan government’s ordinance to gag the press from reporting anything about the evil deeds of the bureaucrats until unless the government allows the case to be investigated. This is simply outrageous. 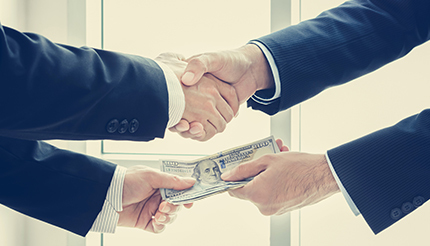 The government officials in our country are notorious for their venality and close scrutiny of their activities by the press and the civil society is the only countervailing force to keep a tab on their corrupt activities. And now the Rajasthan government wants to scuttle this process to empower the government officials to go on a looting spree. This move is truly ominous and will give an added impetus to the already rampant corruption. People dislodged the previous UPA government mainly because of its gargantuan corruption and misdeeds. The Modi-led BJP government, which appears to have not learnt any lessons from the UPA’s downfall, is quietly taking the crony capitalism to new heights by diverting the attention of the people on to the useless issues. Now the Rajasthan government, which is also run by the BJP, is paving way for the institutionalization of corruption. The people, however, appear to be oblivious to these evil and insidious moves. May be they are under the influence of the so-called magic spell cast by Modi, and therefore preoccupied with cows, statues, Ram Rajya, patriotism, nationalism, and most importantly the empty promises. This entry was posted in Society and tagged BJP, bureaucrats, corruption, impunity on October 23, 2017 by Dr. Ramachandra Reddy. Will the monk sell-off his saffron Ferrari to pursue peace? Yogi Aadityanath, the priest-turned-politician, who has emerged as the BJP’s surprise choice for the Chief Minister of Uttar Pradesh, has taken the oath of office. Nobody expected his name cropping up for the post. People were under the impression that the Bharatiya Janata Party (BJP), which to a great extent discarded Hindutva hardline politics and embraced developmental plank, will never make such a decision. Something unexpected, however, happened and the Yogi has become the 32nd CM of the most populous state in the country. Unlike ‘the monk who sold his Ferrari’ in pursuit of peace, this yogi, if we go by his past record, did not seem to be interested in pursuing peace and has a propensity to stoke controversies. In fact he acquired notoriety for being a loud-mouthed hardliner and even considered as part of BJP’s lunatic fringe. Many political analysts wondered how the saffron clad hardliner, who was considered to be a fringe element, went mainstream. The BJP, which started its political journey as an advocate of overt Hindutva, slowly toned down its communal rhetoric and started pursuing a kind of covert Hindutva. It slowly but surely excluded minorities from its political fold by not deploying even a single Muslim candidate in the assembly elections in Uttar Pradesh, which drew flack from all the progressive forces in the country. Now it even went to the extent of making a hardliner as the Chief Minister. Putting him in CM’s chair is perhaps the boldest political statement BJP has made in recent times. 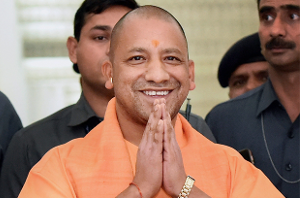 With Yogi’s appointment as the Chief Minister of Uttar Pradesh the Ram Janmabhoomi movement, which has been under suspended animation for quite some time, may get a new lease of life. If that happens, the communal conundrum, which to a great extent has subsided, will be reignited. The minority politics played by the so-called secular parties is also responsible for the present state of affairs. They, through their appeasement politics, tried to grab Muslim votes en masse. This vote bank politics made Hindus rally behind BJP, completing the vicious circle of religious polarization in the state. BJP’s strategy appears to be combining developmental politics with soft Hindutva to gain a mass appeal, and occupy the position of being the natural party of government. This strategy, to some extent, is tolerable but the trouble starts when it wades into the waters of hard-line Hindutva to whip up communal frenzy with an eye on reaping electoral dividends. The pursuit of hard line Hindutva will definitely create problems not only for BJP but even for the entire nation. So the monk has to sell off his Saffron Ferrari, a seemingly spiritual ‘material’, and transform himself into a true Yogi in order to make himself acceptable to all sections of society. Meanwhile the opposition parties are very critical of BJP’s decision to put the Yogi at the helm of affairs and accused it of gearing themselves up for implementing majoritarian ‘Shamshaan’ politics. They, however, should not be unmindful of the fact that through their actions they are also equally guilty of promoting communalism through their minority appeasement politics. Uttar Pradesh, which has a population equivalent to that of Brazil, is currently facing a myriad of problems including high maternal mortality rates, poor educational standards, high level of unemployment and the resultant migration to other states, and slow agricultural and industrial growth rates. These are all the livelihood issues which deserve high priority. The state, by dint of its sheer magnitude and demographic diversity, is considered to be the crucial state from the perspective of electoral politics. If the Yogi meditates upon only the development, avoiding all the communal distractions, he will be giving a big impetus to Modi’s efforts to win a second term. Though he made the right noises by reiterating Prime Minister Modi’s clarion call ‘Sabka Saath Sabka Vikaas’ and asking his folks not to make any controversial remarks, his actions and words, no doubt, will be closely monitored by his political rivals and the media. It remains to be seen to what extent the Yogi and his ministerial colleagues will exercise restraint from making divisive comments and pay attention to governance. Let us all hope that the priest-turned politician will follow his ‘Raj Dharma’ and endear himself to all to put one of the BIMARU states on the growth path. This article was published in the popular citizen journalism website Meri News. This entry was posted in Politics and tagged BJP, communalism, Yogi Adityanadh on March 20, 2017 by Dr. Ramachandra Reddy. Pensive Webizen is an online magazine that promotes progressive ideas. If you are a person who enjoys penning your thoughts and eager to share them, this is the right platform for you. We publish the articles that are enriching to our readers. To submit your article CLICK HERE.